Lot:3031 1857-S Three-Dollar Gold Piece. AU-55 (NGC). 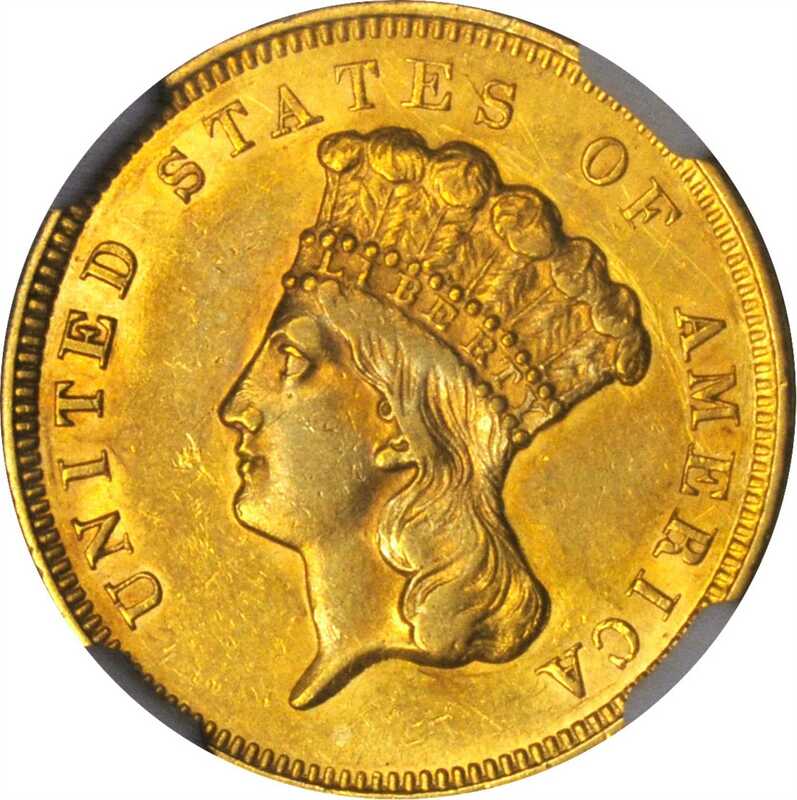 1857-S Three-Dollar Gold Piece. AU-55 (NGC).A rare issue in its own right, the 1857-S three-dollar gold piece is especially scarce in AU and very rare in Mint State. Pleasing orange-gold in appearance with smooth lustrous surfaces, this handsome specimen is sure to attract numerous interested parties, and strong bids.